We've selected five of the best roles in architecture and design available on Dezeen Jobs this week, including positions with Swedish furniture brand IKEA and architecture firm HOK. 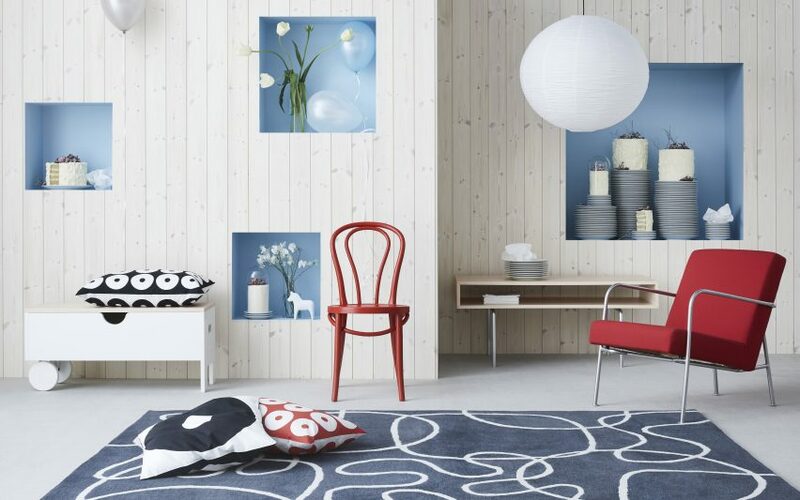 IKEA is looking for a product developer to join its team in Älmhult, Sweden. The furniture and homewares brand recently celebrated its 75th anniversary by relaunching a collection of iconic vintage pieces from the 1950s to the 2000s. Global architecture firm HOK recently completed Mercedes-Benz Stadium in Atlanta, which has a roof that "opens and closes like a camera aperture". The company is seeking an architectural CAD technician to join its office in Hong Kong, China. Yabu Pushelberg has an opportunity for a furniture designer to join its studio in New York, USA. Adaptable furnishings, including foldaway chairs and camping-style furniture, have been used in the studio's design for Moxy Times Square hotel in New York. EPR Architects completed an office building on London's Savile Row with a facade made up of ten thousand ceramic tiles. The studio is recruiting a senior graphic designer for a 14-15 month contract to join its office in central London. Galerie Kreo is seeking a senior production manager to join its team in Paris, France. Ronan and Erwan Bouroullec used wooden moulds to create giant diamond-shaped vases for the gallery.